THE TOP TWENTY FAMILY VACATIONS! Golden Bear Cottages Resort is the USA Top 20 Family Vacation winner for all of the California mountains! 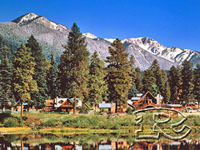 Golden Bear Cottages, established in 1924, are nestled among majestic old growth pines on five acres in Big Bear Lake. Located just 1 block from the lake and minutes away from Big Bear's ski resorts, Bear Mountain and Snow Summit. 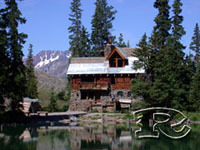 Rustic resort cabin lodging at it's best: Golden Bear Cottages is an AAA approved; four season resort, certified clean by Rest Assured. Our historic real mountain cabins are tastefully decorated with country mountain charm and range in size from economy studios to 7 bedroom retreats. 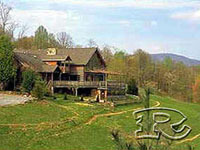 The perfect rustic getaway for couples, church retreats, families and groups of any size. 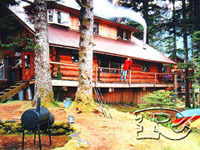 Half of the cabins are pet friendly with fenced yards for your pets. The other half has indoor spa tubs or Jacuzzis. 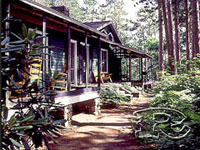 Golden Bear Cottages is truly an historic mountain retreat property, not a five star hotel. If you are looking for a peaceful and quiet resort with a heated pool and spa, lots of indoor and outdoor activities and a family staff that truly appreciates you and your family, then this is the place for you! Our AAA approved historic cabins have had families, retreats and groups returning year after year for over three quarters of a century. Feel the mountain breeze, see and hear the rustling of the tall pines. Enjoy a personal encounter with God and nature at Golden Bear Cottages resort. It's a Big Bear tradition,a mountain experience that you will remember forever. In 2006, it was nice to receive this award while celebrating our 80th anniversary. But, even better to receive it again for 2007, 2008, 2009, 2010 and 2011. That means we are the only Big Bear Lake, California family vacation and resort cabin property to ever receive the Top 20 USA Vacation Award five years in a row! We have received many other top awards over the years. Here are just a few: 1977-2010 AAA approved lodging facility. In 1999-2010 Diamond Rating from AAA. 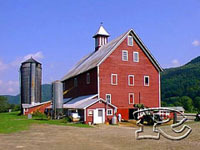 In 2000-2010 AAA Travel guide top rating. In 2004-2010 SkiTown.com Best rating in Big Bear. In 2005 and 2010 Las Vegas Tribune's Top Travel award, and also in 2006 Platinum lodging award from ResortsandLodges.com and the Chamber's AAA rating. Golden Bear Cottages was also a founding member of the Big Bear Lake Resort Association and we have been a proud member of the Big Bear Lake Chamber of Commerce since 1994.
reviews and comments sent in by our returning guests over the years. 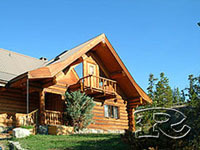 Golden Bear Cottages is the only resort or cabins in Big Bear to be named to this Top 20 Family Vacations list. 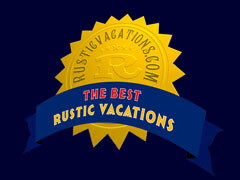 We are also the only Southern California Resort big cabin property to make the Top 20 Family Vacations award list: BEST CABINS FOR FAMILIES......BEST LODGE FOR FAMILIES.....TOP RUSTIC RESORTS IN BIG BEAR LAKE. 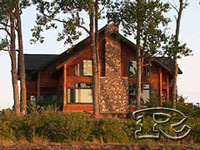 Big Bear Rentals are currently available at great discounts! 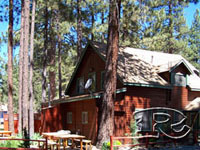 Save money on lodging for your next vacation at Big Bear Lake. 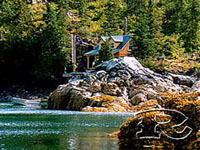 A wide variety of rentals from economy studio cottages to seven bedroom retreat cabins. One of the few great family vacations in California: Golden Bear Cottages is the only resort or cabins in Big Bear to be named to the Top 20 Family Vacations award list. Golden Bear Cottages Resort is the USA Top 20 Family Vacation winner for all of the California mountains!